Ekholm: Focus on human behavior. In Swedish, "safety" translates to "säkerhet," but for employees of one of Sweden's biggest employers, it might as well translate to "Volvo." The carmaker, owned by Zhejiang Geely Holding Group of China, is fiercely protective of its reputation in safety. But in an age of autonomous driving and advanced sensor technology, Volvo's top safety experts are increasingly navigating a blurry line between driving safely and being driven. 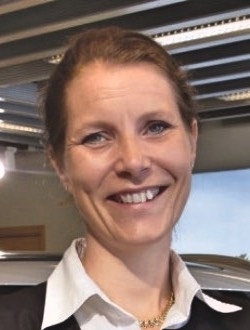 "We're very focused that you as a driver know that you're in charge, [and] not giving you so much support that you question who's in charge," said Malin Ekholm, director of the Car Safety Center at Volvo Cars headquarters in Gothenburg, Sweden. "It's nudging rather than giving the feeling of taking over." With a bevy of new tools to ensure passenger safety, the carmaker's safety strategy is shifting from passenger protection to accident prediction and avoidance, Ekholm said. Volvo has a well-developed apparatus in safety research. Its safety center, created in the 1970s, runs crash tests and shares information with Swedish road authorities to document accidents and crashes, so that engineers can better understand scenarios they must guard against. But the rise of autonomous and connected-vehicle technology, as well as digital simulation technology used to pioneer self-driving vehicles, have augmented researchers' approach to safety. Now, for instance, in addition to crash tests, vehicle safety systems run through nearly 30,000 accident simulations. Volvo's increasing investment in autonomous r&d — including a recently expanded Silicon Valley operation — also increases the capabilities of its advanced safety team. Volvo's City Safety package, for instance, incorporates a front-facing camera to recognize pedestrians, bicyclists and oncoming vehicles and deploy automatic emergency braking to avoid collisions. The "sensors and cameras were there, so we could use it," Ekholm said. Increasing use of advanced technology is shifting Volvo safety researchers' approach from mitigating accidents through restraint devices to predicting and preventing accidents. "More and more, we need to help you avoid the crash," Ekholm said. Researchers, she said, are asking how carmakers can support drivers so the motorists never encounter critical situations. Part of the solution is supplying more information on potential hazards through the use of connected technology. In Sweden, the carmaker uses vehicle-to-vehicle technology to send warnings about low-friction roads or hazard-light detection to oncoming traffic. But a larger focus is on human behavior, often in response to semi-autonomous technology that lulls drivers into a false sense of security. The carmaker's semi-autonomous Pilot Assist system, for instance, is intended to reduce fatigue on long trips, but can be abused if drivers fail to keep their attention on the road. Ekholm has responded by expanding the company's safety team to include human behavior and biomechanical researchers. As vehicles become increasingly automated, Volvo's researchers will need to pick and choose where the technology can enhance the company's safety standards. "Autonomous has so many aspects to it," Ekholm said. "What we focus on is the safety research."